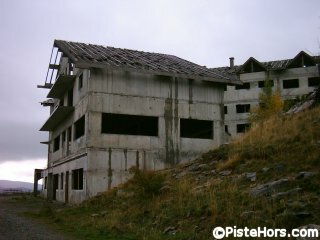 Cheapest Apartments in the Alps? We have all done stuff that we have regretted the next day. Shoes bought in the sales a size too small, acquired a vintage car that breaks down on way home or put in a bid on and abandoned ski resort only to hear that the umbilical cord of state aid has just been cut. Okay perhaps that last one is a little unusual but it is what happened to a property developer called La Fourmi (the Ant). 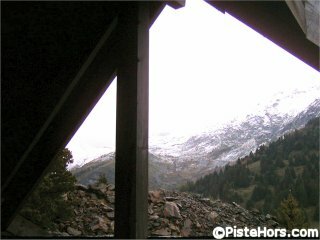 In a lightning auction that lasted all of 12 minutes, held somewhat ominously on the 13th of January, 2004, they put in a bid of 1.62 million euros for the ‘phantom’ ski station of Saint-Honoré. Act in haste, repent at leisure as they say. 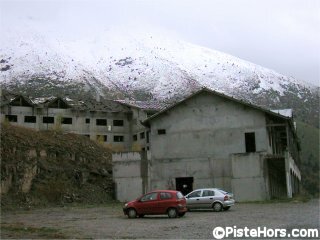 St Honoré, situated at 1500 meters on Southwest facing slopes in the Oisans Mountains near to Grenoble was conceived in the white gold rush of the 1980s but didn’t take into account an historic lack of snow in the area which was to be compounded by the effects of climate change. Work began in the early 1990s on a tourist office, a bar-restaurant, a mini golf course, a beginners drag lift and several apartment blocks. The resort is linked to its neighbour l’Alpe du Grand Serre by two chair lifts. Work came to an abrupt halt when the developer was imprisoned for fraud with the station only part-completed. The developer had obtained loans of several million Euros from a subsidiary of the ill-stared Crédit Lyonnais group which in turn had a 50% credit guarantee from the Isère General Council (conseil general). The auction included two severely vandalised apartment blocks as well as 18,000 hectares of land and other abandoned buildings in various stages of construction. An earlier auction, in November 2003, fell through when the bidder, SCCV Saint-Honoré, a company based in Saint-Jorioz in the Haute-Savoie with a capital of just 100 Euros, failed to come up with the then auction price of 838,000 Euros. After getting badly burned at St Honoré and with the possibility of climate change looming large the Isère General Council (GC) has had an epiphany in its attitude towards funding ski resorts. 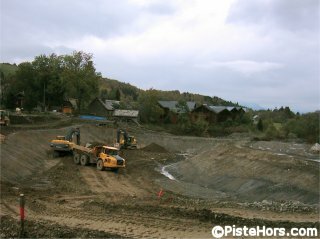 The GC asked Meylan based consultancy Dianeige to study funding options for the Isère based ski area. 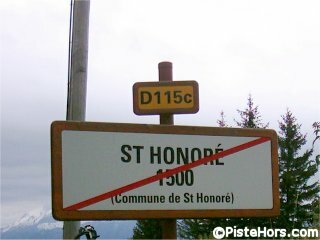 The report suggests that 15 ski stations are not viable and should be helped to convert to other activities; amongst them is St Honoré although neighbouring L’Alpe du Grand Serre was singled out for aid in restructuring its winter sports offerings, in particular improving accommodation for tourists. Dianeige says that Saint-Honoré’s ski domain is too low and too large to be sustainable given the lack of hotels or apartments. La Fourmi have already started work and one block has been refurbished. A two room, 44sq. 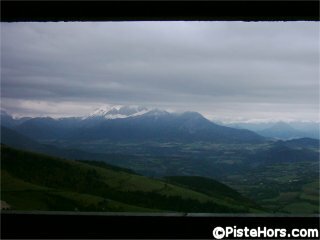 m. apartment with magnificent views over the Devoluy massif can be bought for 44,000 Euros. 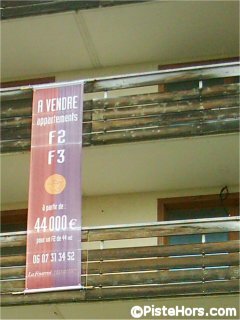 That is about a third of what similar apartments are selling for in Grenoble, some 30 minutes by road from the resort. Perhaps the biggest problem for the ski resort is the lack of ski lifts and pistes. There will be a baby drag lift running during the 2005 ski season but the SATA, who operate the lifts in neighbouring Alpe du Grand Serre do not want to run either the four man Chaud chair or maintain the pistes on the St Honore side of the mountain. SATA believe that these were the cause of Nivis, the previous owners, bankruptcy. This despite the fact that Dianeige says that l’Alpe du Grand Serre needs more accommodation for guests. The local mayor hoped that La Fourmi’s purchase would enable the community “to turn the page on this absurd story” but it seems not yet. 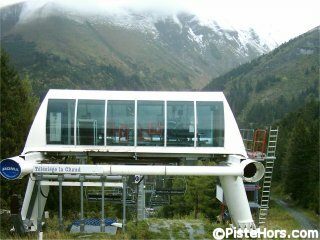 This autumn the franchise on the Grand Serre / St Honoré lift system was put out to tender in accordance with EU competition rules. There were only two applications. SATA, who had ridden to the rescue of the lifts the previous year and another company who decided not to pursue their offer. SATA have now been offered an 18 year lease on the lifts. The project will involve renewing the installations and access at the Bergeries sector and installing snow making which is deemed essential for the financial stability of the station. Work on the snowmaking began over the summer with the construction of a 22,000 m3 reservoir fed by the stream that flows from the Désert. In line with Dianeige’s ideas the lake should serve to attract summer visitors for strolls or fishing. The environment group Mountain Wilderness are strongly critical of these uniform reservoirs which they find aesthetically unpleasing. Snow making is also a hot issue for environmentalists. The major part of the work was funded by the GC. A via-ferrata will also being constructed. The Cooperative that owns St Honoré’s Chaud chair lift does not have the budget to pay for the necessary safety controls this winter so this vital link will stay shut. However they have a plan so cunning you could stick a tail on it and call it a renard. The idea is to reclassify the lift as ‘public transport’ giving access to the ski domain of l’alpe du Grand-Serre and so qualify for regional aid. The pistes would no longer be maintained, but with the increasing interest in freeride skiing and snowboarding this may not be a bad thing as it would potentially create a superb off-piste domain. A kind of mid-mountain la Grave, at least on the days when the snow is good. There is also the possibility of ski touring with the superb Thabor and Taillefer peaks beckoning the adventurous. 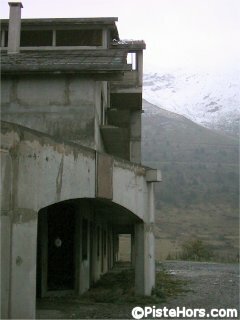 It seems the Ants still have a mountain to climb before they can start work on the derelict apartments but at around 30,000 UKP you probably won’t find cheaper. According to sources in the lift company the plan is to move the Chaud chair to the Grand Serre side to improve the access to slopes on that side of the valley. All the finished appartments are now sold and the derelict appartments will be put into a state where they can be sold during 2005. The resort still possesses a learner drag lift and Grand Serre is around 20 minutes by road. The area offers fantastic ski touring and of course, skiers can return to St Honore from Grand Serre off-piste.